Eileen Gray is now widely recognized as a designer of great talent and individuality. She first excelled in the exacting craft of lacquer, creating screens, panels, furniture, and objects of technical virtuosity and poetic strength. Eileen Gray then developed an interest in architecture, designing two houses, &quot;E-1027&quot; (completed 1929) and &quot;Tempe a Pailla&quot; (completed 1934) in the south of France, which are seminal examples of the spirit of the Modern movement. 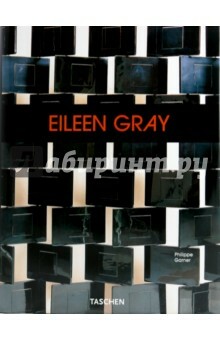 This book analyses and illustrates the full range of her furniture, interiors, and completed architectural projects. Издание содержит параллельный текст на английском, немецком и французском языках.